That would make a gorgeous painting. love the image captain. where is this? Fantastic! Looks like you ata high elevation? පෙබරවාරි මාසෙ කොහෙ හරි යමුද? I took this from my rooftop and this is @ 300mm. මාත් මේ අහන්න කියලා හැදුවේ. හරි යමු! කෝල් එකක් දීලා කතා කරගමු. Fantastic. It looks like a painting! Thanks for the comment Frieda. ahh great. most people are afraid to shoot landscapes at higher focal lengths, so they miss out a lot of details. 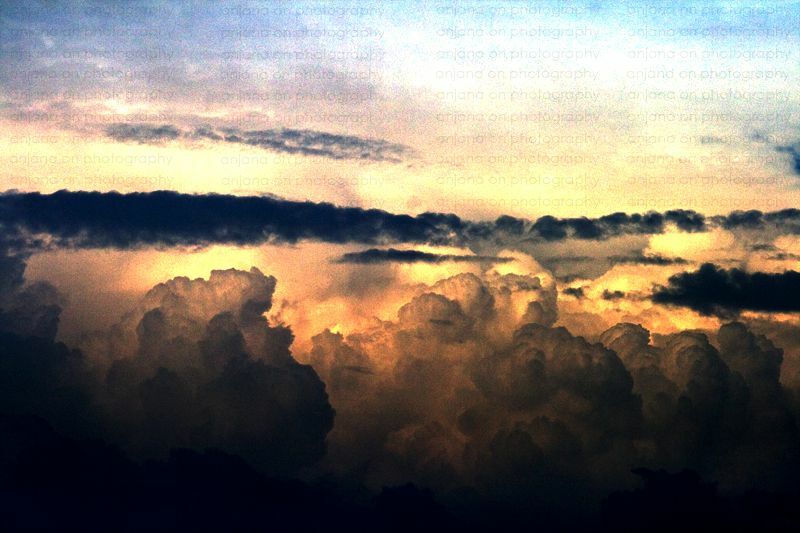 Thats a wonderful sky...actually i dont recall seeing clouds illuminated from within, like the ones in your pic. looks as if the sun has come so close that it is engulfed by the cloud. Btw, why sad face buddy ? Yes, I have a canon 70-300mm IS USM. This Sigma lens looks pretty good too (as per the reviews) but I have one doubt cos it got a Nikon mount (again as per the specification give in the review page). So if you have a Canon body you better check that out. Thank for your comment. As I said I took this @ 300mm and this is a very small section of a huge cloud. That’s why this pic got a light coming under or inside kind an effect. well the Sigma makes lenses for Canon too. Now I'm having doubt whether I should go Sigma or Tamron. Apparently Sigma's quality is better in 70-200mm range but becomes soft after 200mm. Tamron maintains the same quality throughout the entire range. Judging by the flickr results, I'd say Sigma is better quality. Currently thinking of the Sigma 70-300mm f/4-5.6 APO DG Macro and the Tamron 70-300mm f/4-5.6 Di LD. The Tamron is few $$$ less. My cousin said some Sigma lenses have back focusing issues. will let you know what I go with. yup go ahead and submit some of your images to the competition. it's $30 per entry I guess. we all have to start somewhere :) I submitted some to another competition. that was my first. waiting for results.